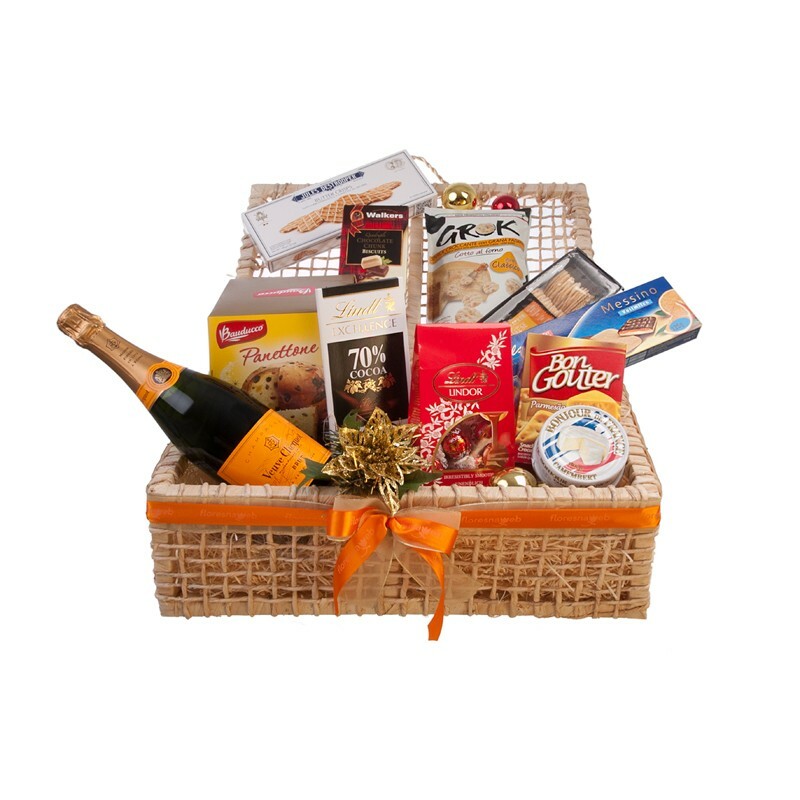 The Indulgence Holiday gift basket comes with Veuve Clicquot champagne, Lindt truffles, cookies, Lindt chocolate bar, panettone, biscuits, brie or camembert cheese, crackers and more. A very special Christmas gift for a family member, business associate, friend or your loved you; it will be a gift not to be forgotten. Floresnaweb deliveries luxurious Christmas gift baskets and hampers to all cities in Brazil. Fast delivery to São Paulo, Rio de Janeiro, Curitiba, Campinas, Belo Horizonte, Santos, Porto Alegre and many more.